A first round pick out of USC, Paul Westphal split his career primarily between the Celtics and the Suns. He won a championship while with the Celtics but was traded to the Suns where he played in what many consider the greatest game ever against his old teammates where Westphal made some huge plays in the triple overtime classic. Always a dependable scorer, Westphal made First Team All NBA three times during the late 70s when he was one of the leagues star players. If Westphal's coaching career was added to his playing career he would be much higher on this list but as it is, he may not have enough career statistics to get over the hump. Should Paul Westphal be in the Hall of Fame? Country of Origin: Torrance, California, U.S.A. The Top 50 Oklahoma City Thunder of all-time are now up! Westphal should definitely be in the HOF. 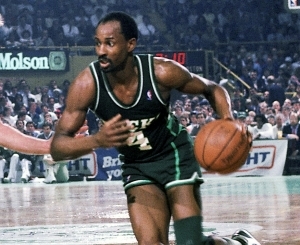 He was selected as all NBA first team 3 times in the late 1970s. He has a great diversity of shots. Injuries shortened his career, but he went up againsty some of the best all time NBA players such as Maravich, Gervin, Magic, Fraizer, Monroe, David Thompson, and Dennis Johnson. He was a big guard at 6'4" and could play both the PG and SG positions. I don't know why he isn't given more HOF support. 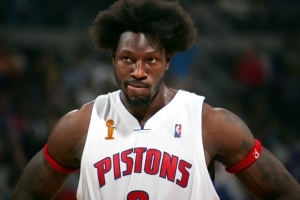 How many players have made all NBA 1st team 3 times and are not in the HOF?